Why no Cybermen in Jon Pertwee's time? The Hive » Doctor Who » TruWho » Why no Cybermen in Jon Pertwee's time? 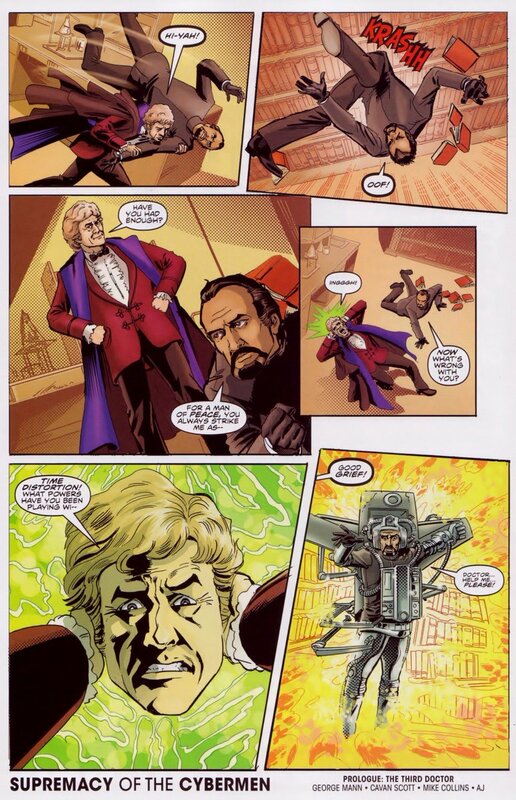 I was just wondering why the Third Doctor was the only one of the Classic Who Doctors never to get a Cyberman story. Was just an oversight or was their a specific reason for it? Terrance Dicks thinks they're crap. They're only in Five Doctors so much because Saward likes them. ALL such moves were mistakes really as the show should never 'limit' itself and I think they later on tried to compensate for the lack of any proper Pertwee v Cybermen somewhat in 'The Five Doctors' - tho' by then the Cybermen had become far too easy to kill - both the Rassilon warrior robot and board game massacre them ! WOW Cybermen in Frontier in Space would have been amazing! Daleks, Cybermen and the Master in the one story all working together, none of them being undermined. Why didn't they do that? It also would have been a great way to celebrate the tenth anniversary. All 3 big villains in the one story. Obviously I'm assuming that they wouldn't have made the Cybermen the Daleks servants. I wouldn't have liked that. They would have had to be the Master and the Daleks allies, with all 3 evidently planning to stab each other in the back somehow once the earth and Draconian empires were completely fucked, but the Doctor would obviously destroy their plans first. Think of the possibilities for spin off material. A war between humanity, the Draconians and the Daleks and the Cybermen. You could have had The Master playing them off against each other! Oh well. Each time a monster returns, we're denied the chance at a NEW classic monster. I would honestly welcome a (properly done) year or two with no classic monsters, as long as there were plenty of new cool ones. 11 Re: Why no Cybermen in Jon Pertwee's time?